Dome Plugs Metric - 16mm ---------> Email for a quote! Dome Plugs Metric - 16mm White ---------> Email for a quote! Dome Plugs Metric - 20mm ---------> Email for a quote! Dome Plugs Metric - 20mm White ---------> Email for a quote! Dome Plugs Metric - 25mm ---------> Email for a quote! Dome Plugs Metric - 32mm ---------> Email for a quote! Dome Plugs Metric - 32mm White ---------> Email for a quote! Double Insulated Bushings - 12.7mm ---------> Email for a quote! Flexible Grommet ---------> Email for a quote! Open/Closed Bushings 12.7mm ---------> Email for a quote! Open/Closed Bushings 14.3mm ---------> Email for a quote! Open/Closed Bushings 15.9mm ---------> Email for a quote! 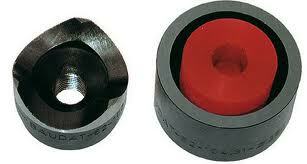 Open/Closed Bushings 19mm ---------> Email for a quote! Open/Closed Bushings 22.2mm ---------> Email for a quote! Open/Closed Bushings 25.4mm ---------> Email for a quote! Open/Closed Bushings 31.8mm ---------> Email for a quote! Open/Closed Bushings 38.1mm ---------> Email for a quote! Open/Closed Bushings 9.5mm ---------> Email for a quote! Shorty Bushings (White) 10.3mm ---------> Email for a quote! Shorty Bushings (White) 7.9mm ---------> Email for a quote!